Idaho is a northwestern state of the United States that has a rich Native American history. Geographically, Idaho forms a part of the Pacific Northwest, and is divided into several distinct regions based on geography and climate. Within Idaho rests the largest area of natural land that remains unspoiled to this day. Considered a Rocky Mountain State, Idaho is covered in beautiful scenic landscapes, with rolling hills and mountains, forests and even deserts. The climate in Idaho varies depending on where you are, but altogether Idaho is perfect for both warm, summer vacations as well as winter-time escapes in the mountainous regions. With all of the stunning natural beauty that resides in Idaho, it has become the perfect place to enjoy a romantic vacation. Whether you are a couple that’s into outdoorsy trail hiking, or a couple who just enjoys the quiet wilderness of a cabin, Idaho’s best romantic getaways will have something especially for you. Located in Orofino, this hotel is situation just on the banks of the Clearwater River. It’s beautiful sight, with all the scenes of nature just moments away, while still offering guests a luxury place to stay. Couples will be able to take their pick of a guest room or suite right on the water’s edge, while still enjoying the quality service that comes with staying at a hotel. Breakfast is offered complimentary to guests, with a full hot breakfast every single morning with an array of different foods, from breakfast burritos to biscuits and gravy. 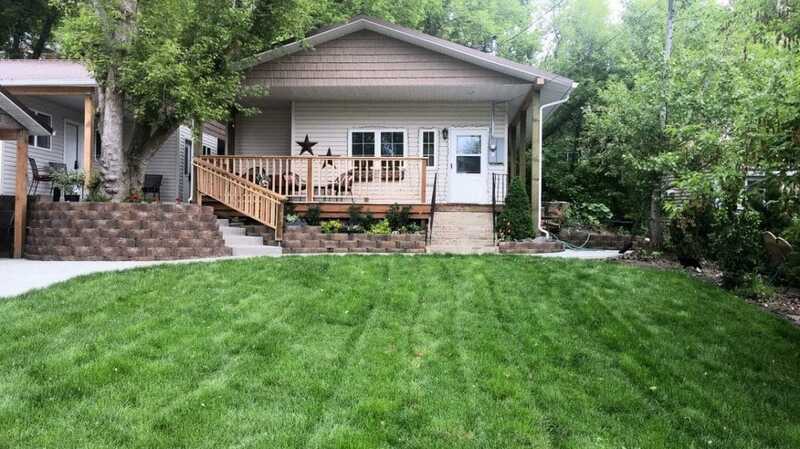 Couples who chose the Best Western Lodge at River’s Edge will be in a prime location to go some boating, fishing or hiking, as well as the Lewis and Clark trail, that’s both a fun outdoor activity and a place to enjoy a little history. 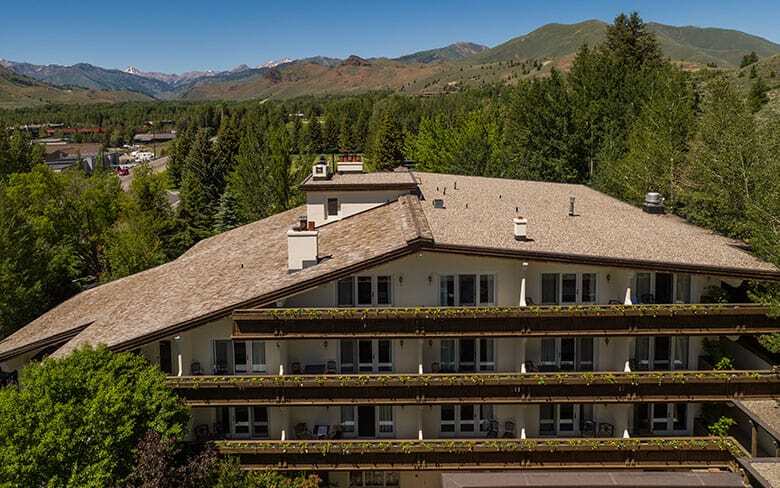 Nestled in the stunning Sun Valley, the Knob Hill Inn combines an ambiance of an old European ski chalet with all the modern amenities and accommodations that guests crave. The Knob Hill Inn offers 29 different guest rooms and suites, so couples will be able to enjoy a semi-secluded vacation. The accommodations offered range from suites to themed rooms, such as the Fireplace Room, for couples looking to get cozy. For all your dining needs, the Grill at Knob Hill is the onsite restaurant that offers casual Northwest cuisine, including local lamb dishes and wild game. The nearby town of Ketchum offers exciting activities for couples who like to explore, such as the Sun Valley Center for the Arts, and the Summer Symphony. The Shore Lodge boasts a mountain lake sanctuary, where couples will be free of all of the daily stressors that come with life. Escape to a quiet and tucked-away escape. The Short Lodge has 77 different guest suites, and the property overlooks over five thousand acres of the glistening mountain lake. Tucked away in the mountains, the Shore Lodge is at 5,000 feet elevation, surrounding by all of the natural beauty you could ask for. The Narrows, onsite at the Shore Lodge, offers guests a delicious fine-dining experience, so couples can enjoy a romantic dinner for two, or even take it to go with private, in-room dining. Along with the rejuvenating spa, Shore Lodge offers activities for all seasons, such as water sports on the lake in the summer, and ice-skating and snow sports in the window. 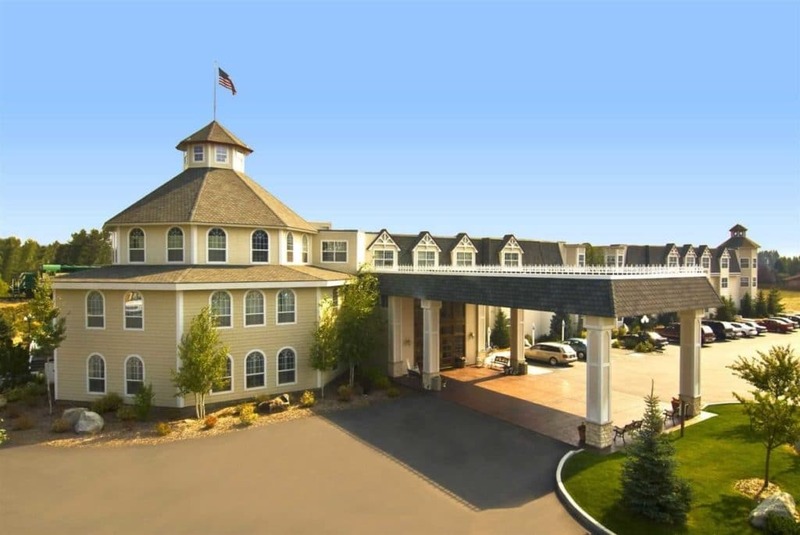 Located in Twin Falls, the Blue Lakes Inn is a boutique hotel that boasts complete modernization. Couples will definitely enjoy any one of the Blue Lakes Inn’s unique guest suites, with their own decor and design. Couples who are planning a longer getaway can even book a kitchenette room, with a fridge, microwave, induction burner and dishes and utensils. Breakfast is served from 6 a.m. to 9 a.m., and guests will be able to enjoy breakfast treats like cinnamon rolls, local bagels, and fresh coffee. While staying at Blues Lake Inn, guests will be able to explore all of the stunning natural beauty that Twin Falls has to offer, such as the Shoshone Ice Caves or the Idaho Heritage Museum. 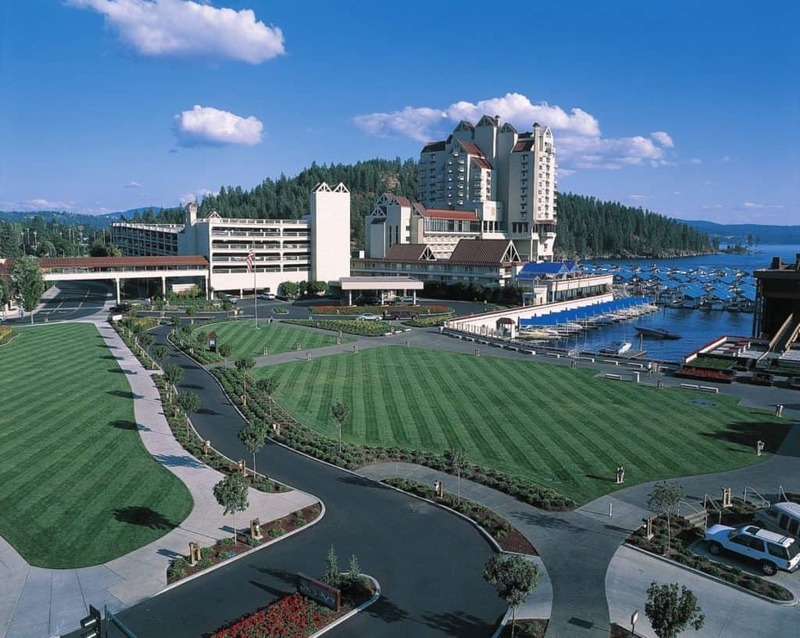 The Coeur d’Alene Resort is world-known, and located in the city of its namesake. 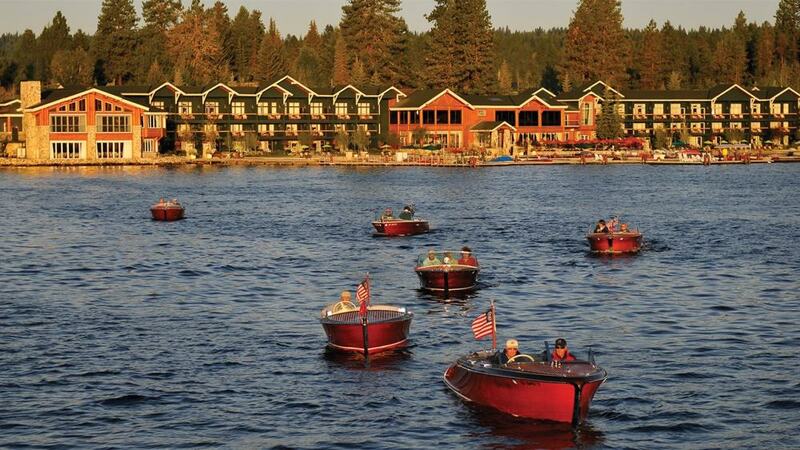 The Coeur d’Alene Resort is a lakeside paradise, and guest rooms and suites are in abundance. Couples who are seeking a view will enjoy the Lake Tower suites that overlook the water, and can even have a fireplace when it’s time to cozy up. The Coeur d’Alene Resort offers six different restaurants onsite, and even offers special dining packages, so guest won’t have to worry about the added cost of food. Couples will especially enjoy being able to have a worry-free romantic meal together. Coeur D’Alene Resort also has the world’s only “Floating Green”, a golf course in the middle of the lake that the resort overlooks. 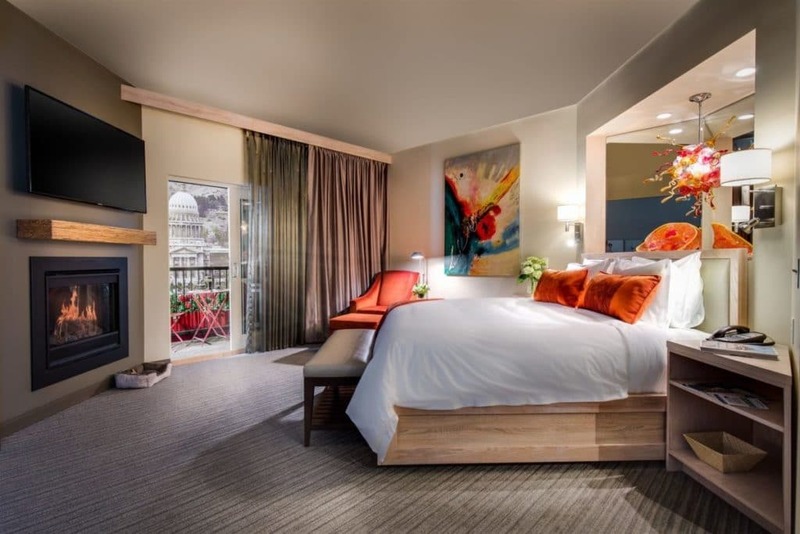 The Inn at 500 Capitol is located in the very heart of downtown Boise, and it is just moments away from both the State Capitol and the cultural district of Boise. This hotel is a couple’s boutique dream, and offers standard guest rooms, stunning suites, and decadent penthouses for each couple’s traveling style. The views from the rooms overlook the downtown district of Boise. Richard’s is the onsite restaurant at the Inn at 500 Capitol, and the food is delicious, contemporary Italian, prepared fresh with seasonal ingredients. When couples are ready to explore the downtown area, the Inn at 500 Capitol offers free shuttle service within 4 miles of the hotel. You can explore the Julia Davis Park, or enjoy an afternoon at the Boise Zoo or the Boise Art museum. 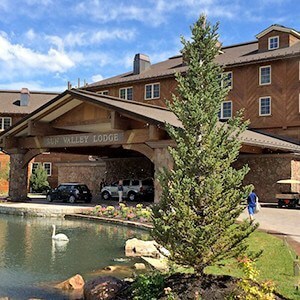 The Sun Valley Lodge is a premier destination, perfect for couples looking for a relaxing and luxurious getaway. Couples will enjoy the newly renovated 108 guest rooms and suites, some with cozy fireplaces to spend the evening curled up next to, others with walk in-showers and decadent granite floors. Couples can even go all out with the Celebrity Suite, with includes separate bedroom and living spaces. On-site at the Sun Valley Lodge is the Trail Creek Cabin, which boast an authentic western experience. There are plenty of other restaurants within easy traveling distance, including a dining experience on top of the mountain. For a relaxing experience, couples can enjoy the Spa at Sun valley, which offers massage therapy, body rituals, and other wellness healing options like acupuncture. 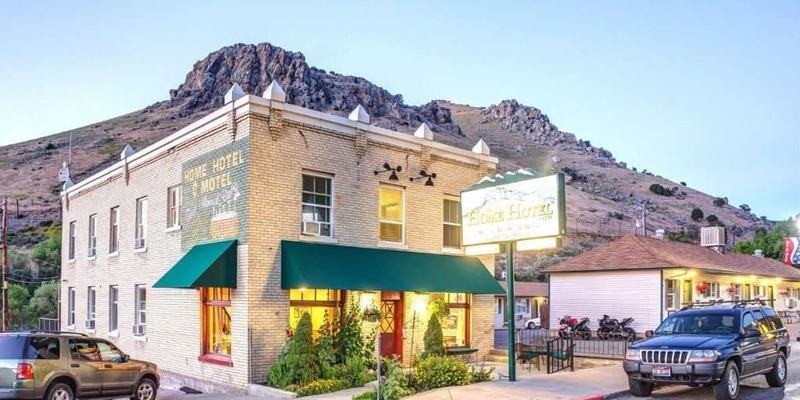 Located in Lava Hot Springs, this historic hotel is located downtown and offers the singularly unique experience of private hot springs directly in your room. Couples will be amazed with the guest rooms and suites that offer both unique and delightful decor, as well as a two-person hot spring tub directly in their rooms. Within walking distances of the Home Hotel are many delicious dining venues, such as the Chuckwagon Cafe and the Portneuf Grill, both offering casual dining experiences. 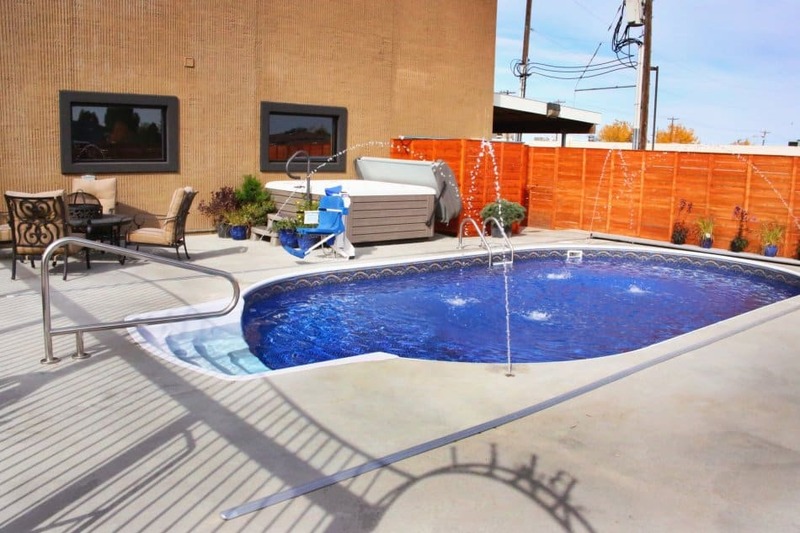 The Famous Hot Pools are also available all year round and within walking distance of the Home Hotel’s downtown location. Couples can also find fun at the Olympic Swim Park, or the Lava Zipline. Located in the town of Cascade, the Ashley Inn offers quiet and serene mountain country getaway. There are 67 rooms to choose from at the Ashley Inn, each with a decor and design scheme that would make all the rooms unique from one another. Couples won’t have to worry about choosing a room with a fireplace, because each room comes with a cozy fireplace. There are even rooms with stunning mountain views. Breakfast is served each morning in the Cascade Room, with a breakfast buffet spread so guests can pick and choose their favorite breakfast. At night, the Cascade Room is host to games, or just a quiet place to meet other couples. Ashley Inn can help adventurous couples book a white-water rafting adventure, or go enjoy the Gold Fork Hot Springs. Couples who love the outdoors will love their stay at Bonners Ferry Log Inn, surrounded by beautiful lakes and amazing hiking trails. Located in the town of Bonner’s Ferry, the Bonners Ferry Log Inn has 22 guest rooms and suites that feature authentic wooden furniture, with suites that have separate living and sleeping areas, so each couple can enjoy a home-away-from-home experience. A continental breakfast is served complimentary to guests each morning, while the surrounding town of Bonners Ferry offers an array of restaurants for lunch and dinner. Couples will be able to enjoy an array of nearby, outdoors attractions, such as the Kootenai National Wildlife Refuge, or the Copper falls, that have a short and easy hike to get to them. For some fun in town, the Groove Studio is just a short walk from the Inn. Located in the beautiful Teton Valley in Victor, Idaho, the Dreamcatcher Bed and Breakfast is surrounded by the picturesque Rocky Mountains. There are five different rooms, each with a theme, name and unique and handmade western style furniture. The small size of this particular bed and breakfast will allow couples who are looking for a little bit of seclusion to enjoy time spent away from busy city life. A multi-course gourmet breakfast awaits each guest at the start of every day, where guests can enjoy the beautiful view of the mountains in the dining areas. No matter what a couple likes to do best on their romantic getaway, Dreamcatcher Bed and Breakfast is suited to have it, like golf, rivers ports, horseback riding, and even special festivals and music events. Located in the town of Victor, the Fox Creek Inn is a quiet and secluded country inn, with stunning views of the mountains all around. This is a place that’s perfect for both summer and winter getaways, and offers couples four different guest rooms to choose from to match the secluded privacy of its location. Each room is uniquely decorated and offer beautiful views of the surrounding property. A full, hot breakfast is served every morning for guests at the Fox Creek Inn, to be enjoyed inside or on an outdoor patio. Couples can enjoy both summer and winter activities depending on when they’re planning their getaway. Couples escaping to Fox Creek Inn in the summer can anticipate boating trips, hiking adventures, golf and horseback riding. Winter time guests will enjoy skiing, sleigh rides and even ice skating. The Alpaca Inn is in the very heart of historic Lava Hot Springs, and it’s just perfect for a couple’s dream vacation. The Alpaca Inn is just two blocks away from the famous hot springs, perfect for couples who are looking to relax. There are twelve different guest rooms to choose from, or for a more private escape, couples can also rent out the Cute Little Cottage by themselves, or with another couple or two. All of the units at the Alpaca Inn have a fridge and microwave, and there are six different restaurant venues within three blocks of the property. Only a half block from main street, the Alpaca Inn is centrally located and just steps away from shopping, the Lava’s Historical Museum, and even the famous hot springs. 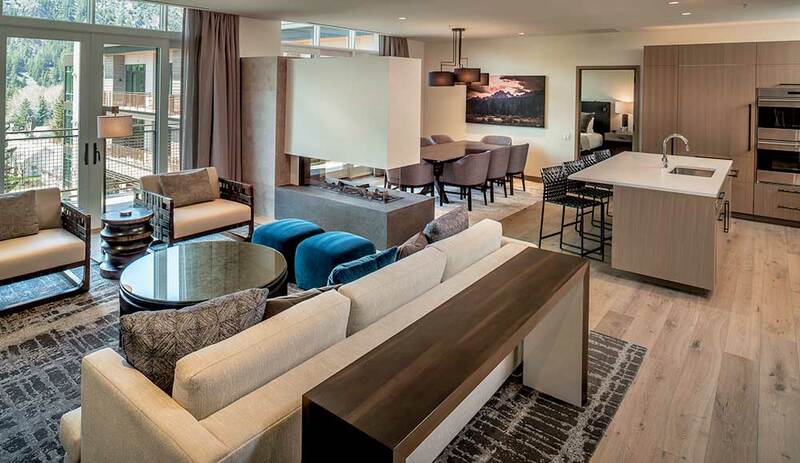 Located in Ketchum, Limelight is a place for couples to entirely let go off all their daily stress and worries. Adventures await at the Limelight, and there’s something for every type of couple. The Limelight hotel offers 93 different rooms and 6 suites, with beautiful views of the surrounding forests and mountains, as well as all of the luxurious that everyone loves in a vacation getaway. Limelight hotel offers guests a delicious breakfast consisting of eggs, pastries, waffles, and even French toast and biscuits and gravy. Dinner can also be found at the Limelight kitchen, with a series of creative and gourmet dishes. Limelight hotel offers bike rentals, however there are also all kinds of adventures that the Limelight can help couples plan, including skiing in the winter and horseback riding in the summer. Nestled among the mountains at 6,550 feet of elevation in Stanley, Idaho, the Redfish Lake Lodge is surrounded by lakes and beaches, as well as beautiful woodland forests. 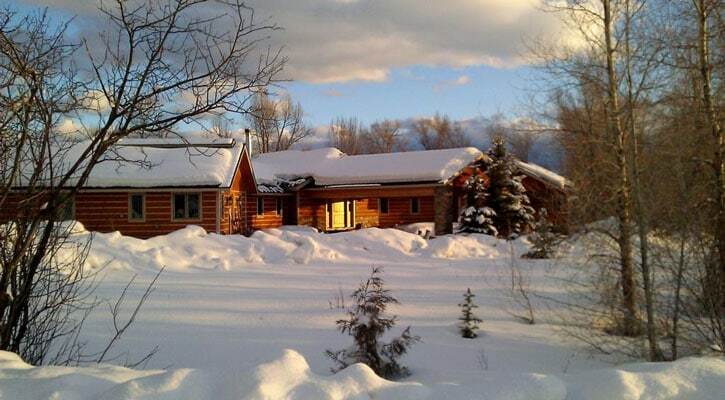 The cabin rentals at the Redfish Lake Lodge offer both seclusion as well as a connection to the natural surroundings. Without televisions and alarm clocks, couples will be able to enjoy a secluded and “unplugged” vacation. Limbert’s is located on the first floor of the main lodge, and it is open to all guests as well as the public. Breakfast is served for the guests, and the dinner menu is inspired by Northwestern cuisine and culture. Along with an array of outdoor activities such as hiking along the trails or enjoying a leisurely horseback ride, the Redfish Lake Marina is at the disposal of all guests, where you can take a boat out on the water.